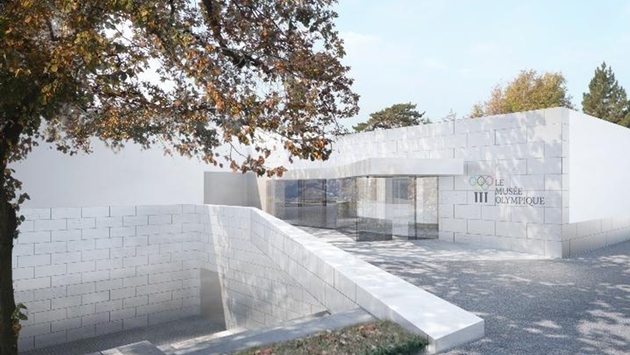 Lausanne’s redesigned and expanded Olympic Museum opened its doors shortly before Christmas with more than 3,000 square meters - nearly double the space before the renovations. The museum features some 300 digital screens showing Olympic moments, along with 1 000 exhibits. The museum is also the home of the Olympic flame where the Eternal Olympic Flame burns when there are no Olympic Games. Overlooking Lake Geneva in the waterfront Ouchy district, the museum was closed for nearly two years for an extensive renovation by Lausanne architects Brauen & Wälchli that nearly doubled the existing exhibition space to 32,300 square feet, spread out over three floors. Two halls are dedicated to temporary exhibitions and the surrounding Olympic Park has become an integral part of the museum, with art by Chillida, Folon, Niki de Saint-Phalle and Tàpies related to Olympic athletes and their achievements. To celebrate the Sochi Winter Olympic Games, the Olympic Museum is unveiling a major exhibition entitled The Russian Avant-Garde and Sport, which will take place from Jan. 24 to May 11. The exhibition explores sport in the Soviet Union in the 1920's and 1930's through the works of the artistic avant-garde, especially in the fields of photography, cinema and graphic design.